Incheon International Airport Corp. said Sunday that it has successfully tested a self-driving shuttle bus becoming the first South Korean airport to do so. The test took place inside its long-term parking lot on Friday, where a driverless bus ran 2.2 kilometers at a speed of 30 kph. "The test route has lots of curved lanes and is frequently interrupted by other cars. ... We have seen that autonomous driving is possible," the airport said. 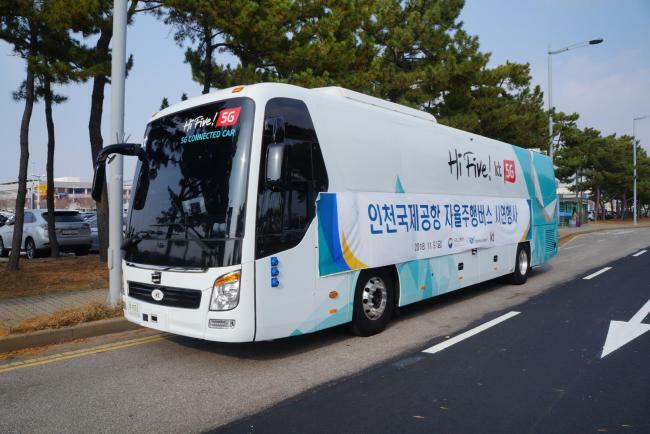 The shuttle bus, used in the test, has been developed by Korean companies, including KT Corp. and Unmanned Solution. It is the country's first driverless vehicle to obtain a temporary driving license.